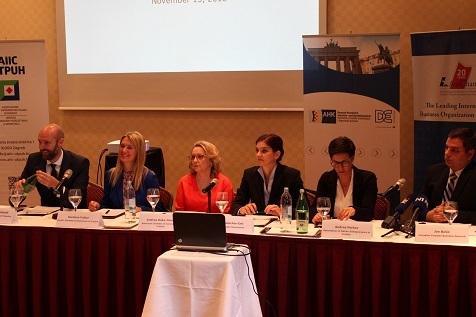 Following the 2013 and 2016 initiatives for the improvement of business environment in Croatia, six bilateral Chambers launched their third Business Environment Improvement Initiative by organizing a press event on November 15, 2018. American Chamber of Commerce in Croatia, Association of Italian Entrepreneurs in Croatia, Austrian Trade Commission, Canadian-Croatian Business Network, German-Croatian Chamber of Industry and Commerce and Nordic Chamber of Commerce in Croatia have been working closely together on identifying key obstacles to doing business reported by their member companies. Six Chambers conducted business environment satisfaction surveys in the period from October 2017 – May 2018 among 473 member companies. Companies identified the following key obstacles: availability of skilled workforce, taxation, ineffective public administration, legal security and government performance. - Linking the Education System with Labor Market Needs.